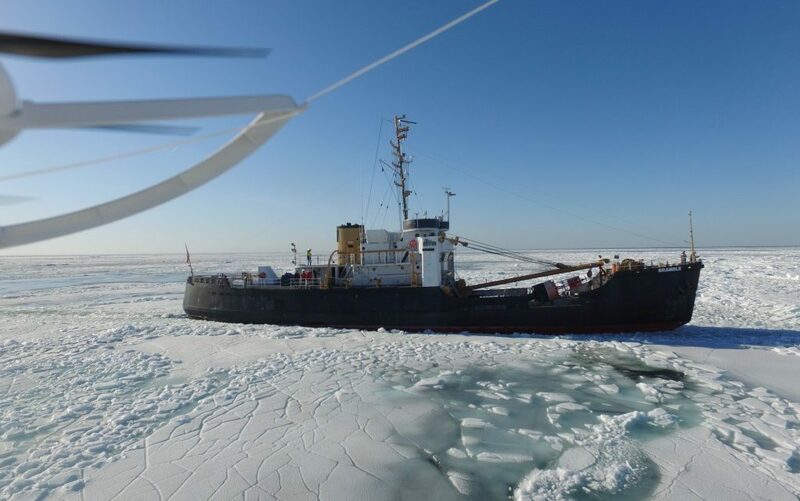 The USCGC Bramble, on her transit from Port Huron, through Lake Erie, encountered some 23 miles of ice and proved herself more than capable of getting through it. In places the ice sheets were seen to be between 12 and 18 inches thick, but no match for the vessel and her crew. 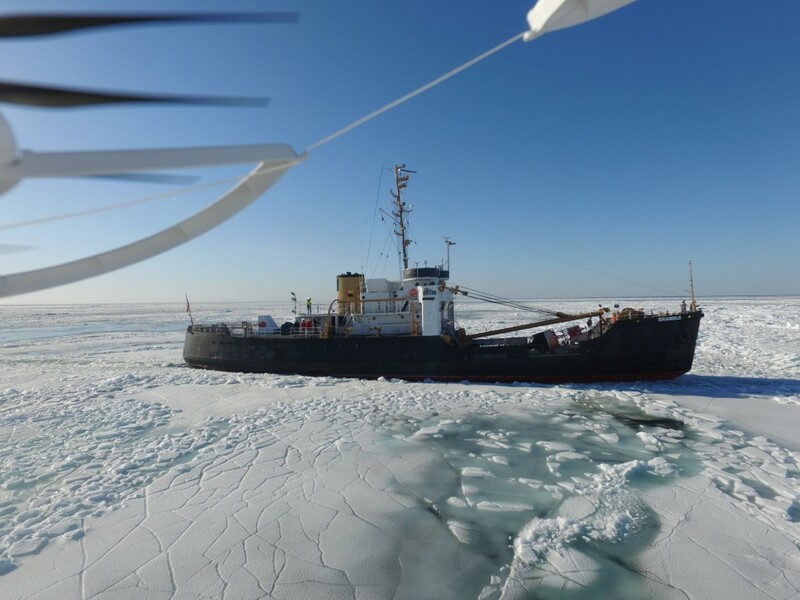 The hearty mariners on board, including former USCG personnel, veterans and volunteer crewmen, all took turns to man the helm to steer the vessel through the floes. Without missing a beat the USCGC Bramble made it to anchorage waiting for the call to proceed through the Welland Canal locks and on to Lake Ontario.